In a medium bowl, whisk together flour, cornstarch, cinnamon, and salt. Once chilled, preheat oven to 375 degrees F. Line 2-3 large baking sheets with parchment paper or a silicone baking mat. Remove dough from the refrigerator and using a cookie cutter, cut in shapes. Transfer the cut cookie dough to the prepared baking sheet about 1/2 inch apart. Shortbread cookies are my favorite! They are simple and classic, but the best. 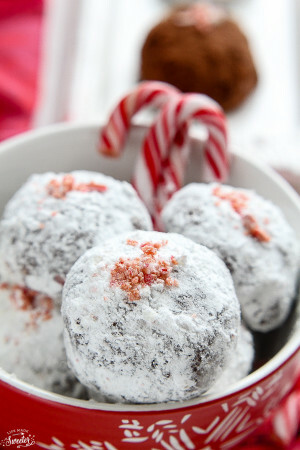 I love how you infused these with eggnog flavor! This recipe just totally sums up Christmas to me. I LOVE shortbread as well. Yeah Christmas baking!!! Don’t worry I have already started mine too 😀 I love baking for Christmas its so much fun. Your tree looks lovely as well, I will be putting mine up next week and I can’t wait! And these cookies look fab! You’re so right – time to get excited for Christmas! 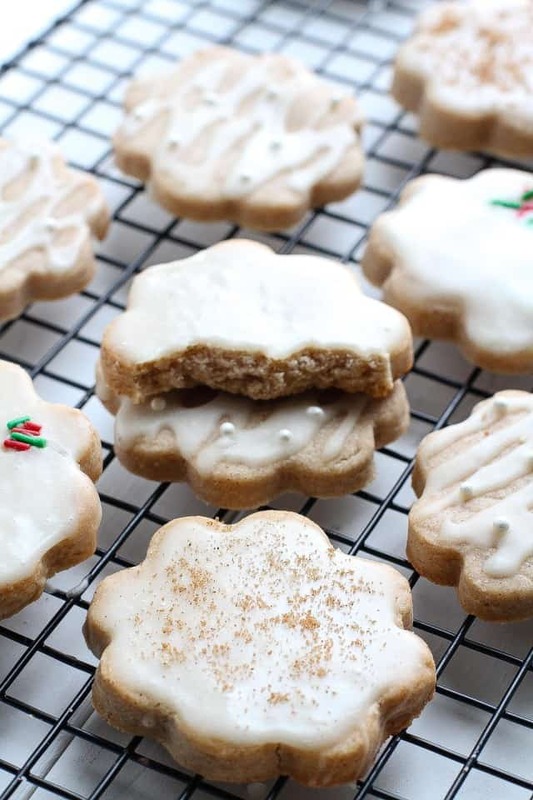 Eggnog cookies are such a celebratory way to ease into the season. Hope you had a lovely Thanksgiving, Kelly! 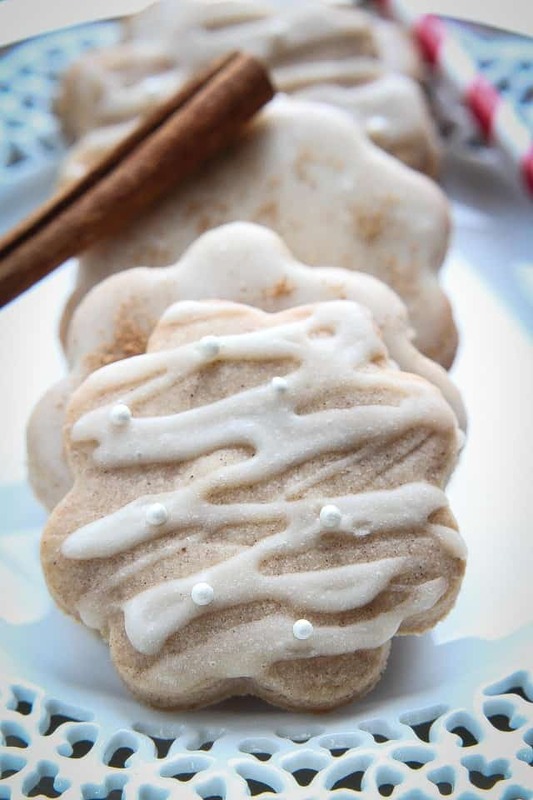 These eggnog shortbread cookies look beautiful,Kelly! 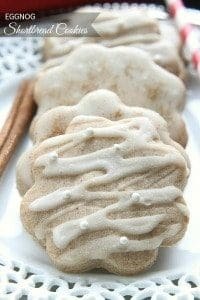 Eggnog cookies are on my list to make this season, and I’m loving that you added in a shortbread twist.These cookies look so soft and full of wonderful flavors. Gorgeous presentation, too! Pinned! I’ve never really tried baking with eggnog, as I don’t really like it much. But I’m going to have to try – these shortbread cookies look really good. I love the way you decorated them, so festive! These look really great! I’ve made a similar version before and they were a big hit with my family at Christmas! Delicious! That glaze is amazing!!! Wow! How festive! They look and sound absolutely delicious! Oh, yum! I think I know what cookies are going to be left for Santa this year. What a great way to get in the holiday spirit! You can never go wrong with the classic shortbread and the eggnog glaze is so smart! We just put up our tree and had some hot chocolate and brownies while doing it. It really is the best time of year…not to mention a great excuse to bake up a storm! Your shortbread cookies look oh so yummy! I wish I could perfect my cookies like this. Time to practice baking! love these cookies, Kelly!! So festive and pretty!! I have not baked much with eggnog but can’t wait to try. . and did you redesign your website? It looks great!!! Hope you guys had a fabulous Thanksgiving!! I love everything with cinnamon! This has gotta be my next project! I love baking with eggnog too- it gives such a nice, festive flavor. These cookies look fantastic, I love how thick they are! And that glaze… yum! I have never tried eggnog in cookies…now I am totally intrigued. These cookies look marvelous, Kelly. These look amazing!! Santa will love it!! Cheers for Christmas baking!! These look AWESOME. Hi Kelly, I love these cookies, they are so adorable and the flavor sounds perfect for the holidays! These are GORGEOUS Kelly! Perfect for any Christmas plate of cookies! love love Shortbread cookies! These look so cute Kelly! Pinned! I love shortbread – and these could not be more perfect. Such a lovely cookie, Kelly! Pinned! Shortbread cookies is one of my favorite! They are so simple and delicious. Your Christmas version looks fantastic! The decoration is beautiful and I love the slightly flavor twist. Will bring these to a friend gathering and I bet they’ll love them! So excited for Christmas this year.. these cookies are definitely now going on my Christmas baking list! Your cookies are too adorable! Eggnog is totally underutilized in my kitchen! I should really start to bake up some of these goodies too! And i absolutely ADORE shortbread!! I think my butter cookies taste like shortbread, LOL! Love this easy recipe. I may add it to my collection. I want to make 2 holiday cookies this year, maybe more variety in future years :). THESE ARE SO CUTE. I especially love the Christmas-themed sprinkles – I almost don’t want to even eat them! Aw Kelly, these cookies are beautiful! I just love the eggnog glaze. They look perfect for the holiday table! 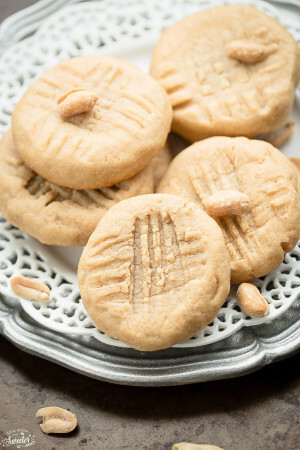 These cookies are gorgeous and look so buttery, delicate, and tasty!! Thanks so much for sharing! you have a real baking talent! or should i say baking genius! Your glaze on these cookies is so well done Kelly. Did I mention I want to eat them all too? Major yum! Love the flavor of eggnog and the buttery taste of shortbread cookies! These cookies would be a real hit at our house. So excited to do some holiday baking! These are PERFECT for Santa. I love the glaze and how buttery these are—best of all worlds! My list of holiday baking ideas just keeps getting longer and longer! Love these cookies! You wouldn’t believe my cookie baking list either! It’s pretty extensive. LOL. These are seriously the most gorgeous cut-out cookies I’ve seen so far this year! I’m just swooning over that luscious eggnog glaze! Pinned. I love that your already getting into your holiday baking. Eggnog in shortbread cookie dough sounds like an amazingly delicious idea! I’m sure Santa will love these. Kelly I haven’t tried eggnog in a cookie before – these NEED to happen in my kitchen! 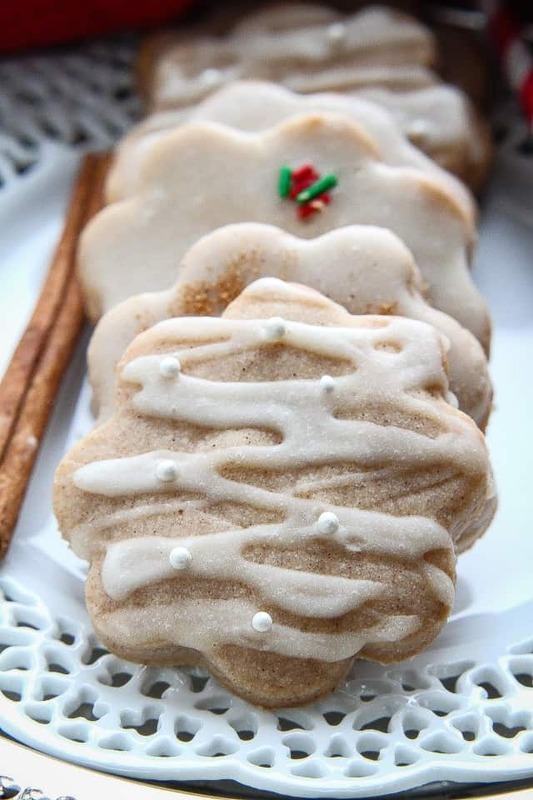 Eggnog and cinnamon make for one festive cookie! Love the new font in your post, it’s much easier to read! Mmm, I’m an eggnog fan, but I sometimes prefer the vegan variety purely because it’s a little thinner and less heavy than whole milk eggnog. I’ve never baked with it though but these shortbread cookies look melt-in-your-mouth delicious! I`ve been itching to bake some shortbread cookies this holiday season! Also, is it weird that I never had eggnog before? This looks deliciousss! I love baking with eggnog and these cookies sound so good! Shortbread all the way! Love this twist on shortbread cookies! !